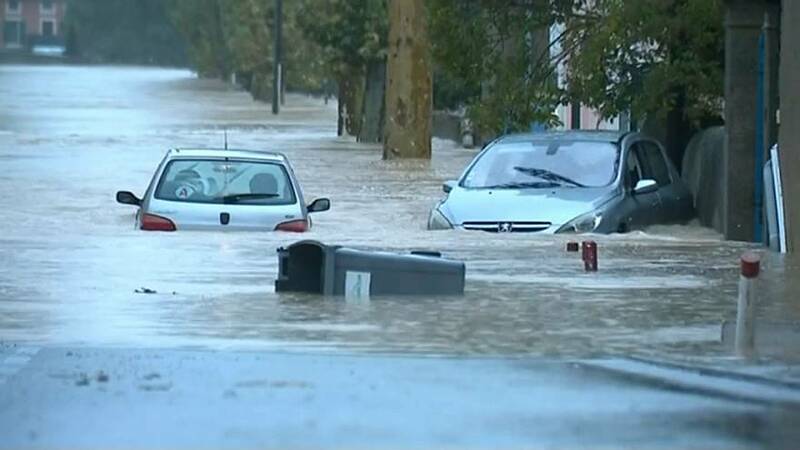 At least a dozen people were killed in heavy rains that hit south-western France on Monday morning, officials say. Several months of rain fell in just a few hours in the early hours, according to Alain Thirion, government prefect for the Aude. In five hours up to 180 millimetres of rain fell in the area around Carcassonne, in between Toulouse and Perpignan, near the Spanish border. Authorities have urged residents not to use their cars because the majority of roads had been cut-off by the rain. It comes after strong winds lashed parts of Portugal and Spain over the weekend.